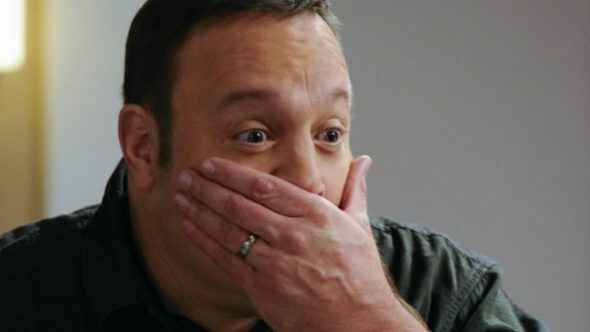 Will Kevin James repeat his King of Queens success on The Tiffany Network? So far, he’s right on Track. The Kevin Can Wait TV show has been renewed for season two on CBS, and there was no waiting required. CBS picked up the sitcom for a second season, as part of a huge, early renewal order. Airing on the CBS television network, Kevin Can Wait revolves around Kevin Gable (Kevin James), a newly retired police officer. The series also stars Erinn Hayes, Mary-Charles Jones, James DiGiacomo, Taylor Spreitler, Ryan Cartwrigh, Leonard Earl Howze, Gary Valentine, and Lenny Venito. The first season of Kevin Can Wait is averaging a 1.70 rating in the 18-49 demographic with 7.96 million viewers, so the renewal comes as little surprise. Find out how Kevin Can Wait stacks up against other CBS TV shows. What do you think? Are you a fan of the Kevin Can Wait TV series? Do you plan to watch the second season on CBS? I do not watch this show anymore! I am quite upset that they changed the wife and I think the way she treats Kevin in front of children and other people is appalling. I wanted this show cancelled so we could watch something else in between all the shows we do love. Now that space is break time for our family. Love this show and all the characters, I’ve heard they were changing the wife and if they do that I will not watch it anymore. I really like Kevin can wait. Kevin.James is funny. I liked king of queens,Paul Blart.mall.cop. I could not get into this show. I don’t think his wife is a particularly good actress and there is no chemistry there. I mostly liked it when Kevin interacted with his friends. The family was rarely on so it’s hard to say anything there. I love the show. It took me a while to get used to not having Kari as his wife, and i had to warm up to Chale and his new friends but now I really love it. After we got past the Raymond and Adam Sandler episodes its been great ever since. So excited Kari (Leah Remini) was on the episode tonite for the season finale! I’m so happy, Kevin can wait was renewed for another season. I just love Kevin James and the cast of this comedy. Plus, it is filmed in my old hometown of Bethpage. Keep the laughs coming. We enjoy this one, too. But I think the future son-in-law is the best one on the show followed closely by the wife. Most of the friends could be zapped. I watch it every week, though it’s really not all that funny, imo. Seems like nothing current is funny. I laugh out loud at old shows; Frazier, Mash, Seinfeld…not current ones. Is it me? Love Man With A Plan!! Great cast.